BradMD.com: Crucial Decisions - Patients Need Help! We have a big problem in healthcare! The inability to make Crucial Decisions using evidence-based medicine, patient-centered outcomes, and shared decision-making. Patients Need Help! 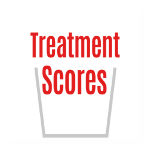 We need to summarize medical treatments down to one number, the net treatment benefit for the patient.